Isabelle Kenyon is a northern UK based poet and the author of This is not a Spectacle, Micro chapbook, The Trees Whispered (Origami Poetry Press) and Digging Holes To Another Continent (Clare Songbirds Publishing House, New York). Her poems have been published in poetry anthologies such as YANYR Anthology and The Road To Clevedon Pier. She has had poems published in literary journals such as Breath and Shadow, Eunoia Review, FoxTrott Uniform, Mojave Heart Review, The Blue Nib, The Pangolin Review, I Am Not A Silent Poet, Eskimo Pie, Scrittura, Anti - Heroin Chic, Bewildering Stories and Literary Yard. Her book reviews, articles and blog posts have been published in various places such as Authors Publish, Harness magazine and Five Oaks Press. She has headlined at Cafe Del Nino's spoken word night, Cannock, and has opened Coventry Cathedral's Plum Line Festival. She is a fierce dog lover and a confessed caffeine addict. 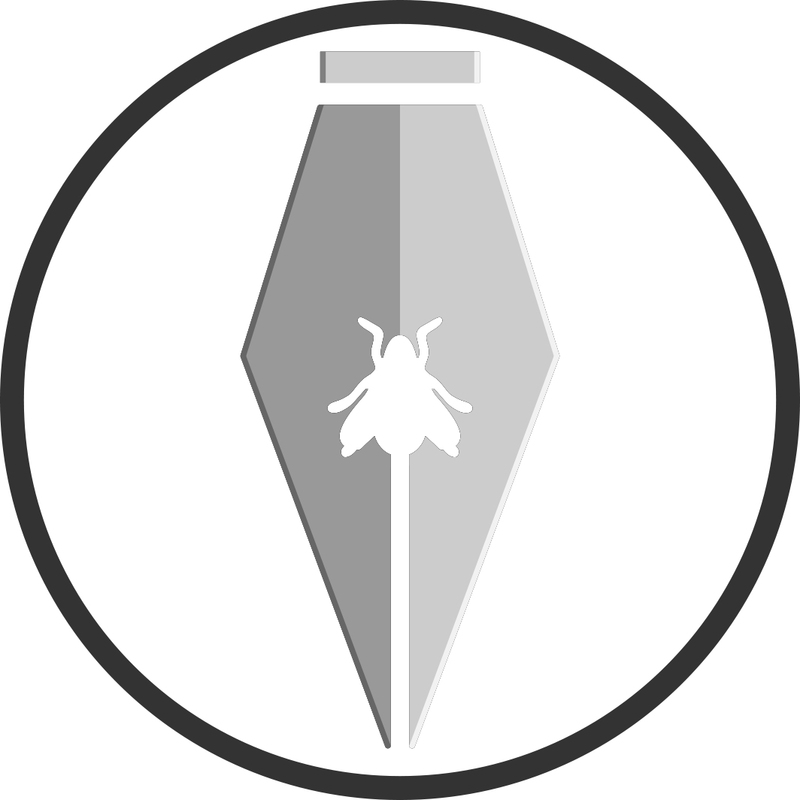 Press ethos: Publishing high quality anthologies on pressing issues, chapbooks and poetry products, from exceptional poets around the globe. 1 – When did Fly on the Wall Poetry Press first start? How have your original goals as a publisher shifted since you started, if at all? And what have you learned through the process? So it actually difficult to pin down when the publishing press started, just because I started a blog in September 2017 and then a call out for submissions for a mental-health anthology in November 2017 snowballed, and I published, please hear what I'm not saying, in February 2018. It was then that I felt like a publisher and so I would say that's when it started. I have learnt everything about publishing since then! I have learnt about distributors and printers and paper quality and how to be brutal and apply my picky editor's eye without guilt! I have always wanted to write and I have always been very opinionated, so definitely had some ideas about what I could bring to the publishing industry. It didn't seem to me like anyone was producing books which actively strove to make a change – at least in poetry. Of course now I know so many independent publishers aiming to do this, particularly Culture Matters and poetry on the picket line. I think the role is to move fast and show the big publishers what they are missing out on. I think I can take risks which are rewarded rather than criticised. I don't know if it's responsibility to everyone, it is one that I have set myself, which is to publish underrepresented voices or stories. I haven't seen any press work with charity partners and organisations in the same way that I do on an anthology. I've had some lovely opportunities to attend events with the charities my anthologies fundraise for. Well I am new to publishing chapbooks, as 2019 will be the first time I have published these! So time will tell! However, I make sure that the books are distributed with leading leading bookshops in the UK, at least online, and then I sell via my website. I think each book should have a physical book launch if possible - it may surprise you to know that even close friends and relatives will not buy that book without the incentive to in person. I am quite involved as an editor but the edits I apply from one author to the next. For example, where I see talent and potential but not a finished product, I will work with that writer until the book is ready. In other instances, the book is already ready and just needs proofreading and marking up professionally. So I distribute online via Waterstones, Foyles, Blackwells and the Book Depository, as well as Kindle options via Barnes And Noble, Amazon, Nook and Apple books. I sell most via my website but I have a few in independent bookshops. My print runs differ regarding how many author copies my writers require for any signings or festivals they may have! For selling through my website, I will usually order a print run of 50 books. Just me! I think I could afford it I would work with a proofreader, just because it is always helpful for peace of mind... I often work with illustrators, as although I have the book cover ideas, I don't have the time or the talent! I am hoping to design two out of the four chapbooks which I will be publishing next year, however. I am making myself learn! As a small press, my budget is stretched, and learning how to do design would be invaluable long term! Because I'm reading so many people's work constantly, I do think writing is improving. I am also more likely to take risks and try new styles. I wouldn't do it myself just because I think it does devalue the editor if they prize their work over their values of the press. For me, it is more satisfying to be published by other people because they have an objective eye. 11– How do you see Fly on the Wall Poetry Press evolving? Well in the new year I will be publishing an anthology called, Planet in Peril, which will work with the climate research department of Oxford University, WWF, The Climate Coalition and Emily Gellard photography more aim to bring science and the Arts together as an educational tool. I feel really passionate about this project and I feel like this could define the press going forward! At the end of 2019 I will also be looking to find short story and novella writers - I'm always reading novels and comparing them to the voice of the poet, so I don't think it is contradictory for me to publish them both. I think I am most proud of the anthology Persona Non Grata because it proves to me that I am publishing current and important messages from exceptional writers. I think people possibly overlook the diversity in voice of my publications -this is something I ensure that I am doing, though it is perhaps quite subtle. My biggest frustration is that 60% of the people submitting their work to my press, have not read any of my publications. I don't understand this and is disheartening as an editor as it proves to me that these writers are only contributing to the industry in a selfish manner, and this does mean that small presses struggle to get by. I'm constantly inspired by The Emma Press and I spoke to Emma when I was first starting out about printers and schemes to be involved with - very helpful advice! I also really love Influx press and 404 Ink. I also take a lot from my own publisher, Clare Songbirds publishing house, because they've been going so long and have an established name. 14– How does Fly on the Wall Poetry Press work to engage with your immediate literary community, and community at large? What journals or presses do you see Fly on the Wall Poetry Press in dialogue with? How important do you see those dialogues, those conversations? I think it works with the community in that it identifies subjects and causes which they are passionate about and then it encourages them to write and submit and that passion for publication. I think reading and submitting work to Fly on the Wall makes people feel good because they're giving back via fundraising. Because of the socially conscious element of the press, I think that it speaks to Culture Matters, and Poetry on the Picket Line, as well as I am not a silent poet. I really love friendships with other publishers and hope that I can talk to them in person in future! For example, I am often talking to Hedgehog poetry press, Indigo Dreams and Knives, forks and spoons press. I do hold book launches, but I think it does largely depend on the location and often the weather as to the turn out! I think it's a really important thing today because otherwise publishing can be quite insular and lonely. I use the Internet everyday and ultimately I sell 80% of the books I sell through my website via twitter referrals! I also really think it is important for conversation and I try to get my personality across on social media. I do -either via the manuscript callouts or via open callouts for my online magazine. And not looking for work heavy in cliche, or nice poems about love, or work which imitates other poets! I want the new and exciting and the political. Well because I only started publishing in February I'm going to take you about two which are released and one which is upcoming! Please Hear What I'm Not Saying, features 116 writers writing on the theme of mental health. Proceeds go to UK mental health charity, Mind, and we have so far raised over £560. This book was awarded runner-up at the saboteur awards 2018 and was endorsed by Ian MacMillan! Persona Non Grata features 45 poets around the globe writing on the theme of social exclusion. 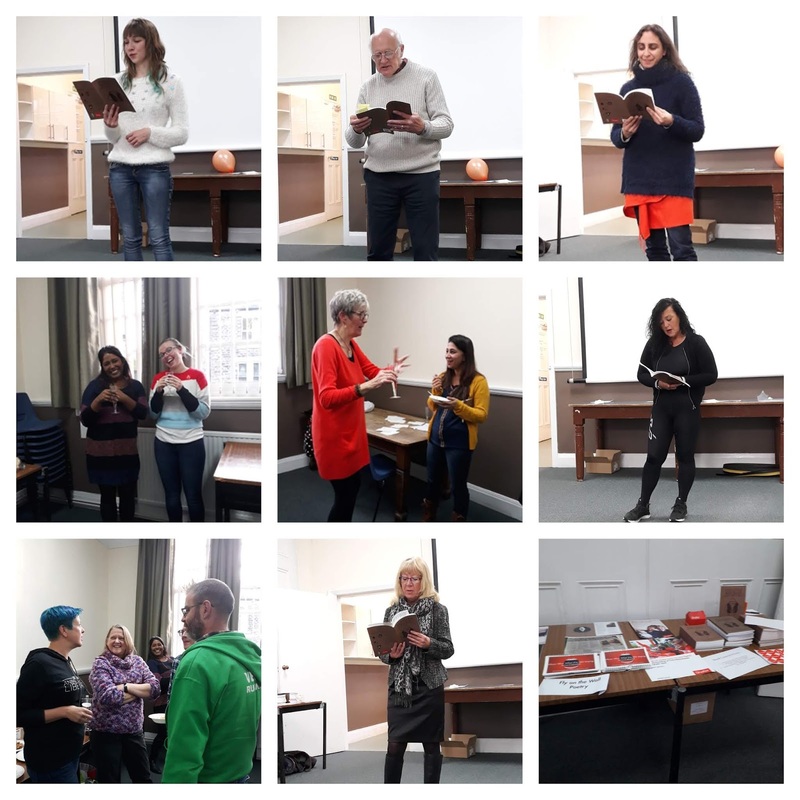 The book fundraises for Shelter and Crisis Aid UK. The book focuses on homelessness and the current refugee crises. Bad Mommy/Stay Mommy by Elisabeth Horan, will be published in May 2019. It is a stunning debut exploring postpartum depression. They are all special in their own way and as I am a one-man band, I truly put my heart and soul into them.